Carpal tunnel syndrome is a condition which affects the wrist, hand and arm. The carpal tunnel of the wrist forms a boney, protective passageway for the median nerve and the flexor tendons of the fingers. The carpal tunnel provides space for the flexor tendons of the fingers and the median nerve to pass from the arm, through the wrist to the hand. People who suffer from carpal tunnel syndrome will typically suffer from pain in affected hand, wrist and/or arm. They may also experience tingling, pins and needles and weakness of the affected hand, wrist and/or arm. The cause of carpal tunnel syndrome is mechanical compression of the median nerve which runs through the carpal tunnel. This compression impedes the usual functioning of the median nerve causing pain, loss of function and a variety of sensations in the affected hand. Working in a job which involves repeated and/or prolonged flexing of the wrists can contribute to the development of carpal tunnel syndrome or worsen already present carpal tunnel syndrome. Women are more likely to develop carpal tunnel syndrome and during pregnancy the risk of developing carpal tunnel syndrome increases due to extra fluid retention and swelling. An injury to the bones making up the carpal tunnel or the tendons which pass through it can also increase pressure and cause or worsen entrapment of the median nerve. Carpal tunnel syndrome is diagnosed clinically with an evaluation of symptoms, history and with physical examination. If your symptoms are worsened by tasks that involve finger and wrist flexion such as typing, knitting or gardening this is a clue that you may be suffering from carpal tunnel syndrome. Neural prolotherapy is a treatment which involves a shallow (subcutaneous) injection of a 5% dextrose (sugar) solution under the skin. This treatment focuses on relieving pressure on an impinged nerve by creating a hydrodissection (water pillow) in the surrounding area. The dextrose solution also downregulates the TRPV1 receptors on the surface of the nerve. These are the receptors which sense pain on the surface of the nerve. Neural prolotherapy is a treatment which can achieve excellent results for the pain and disability associated with carpal tunnel syndrome. Read more on neural prolotherapy. 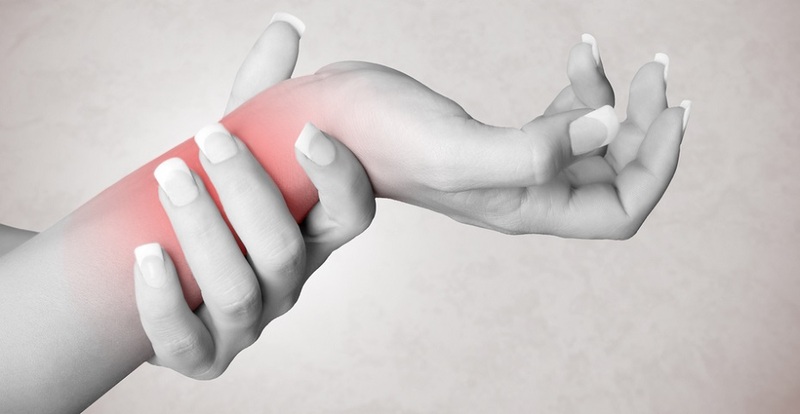 Conventional treatment of carpal tunnel syndrome typically involves immobilization of the wrist with a splint, taking anti-inflammatory (NSAID) medications, rehabilitative exercises and potentially surgery. Surgical treatment of carpal tunnel syndrome typically involves making a cut to the transverse carpal ligament on the front of the wrist. This procedure can release the pressure on the carpal tunnel, decrease entrapment of the median nerve and improve symptoms as a result.